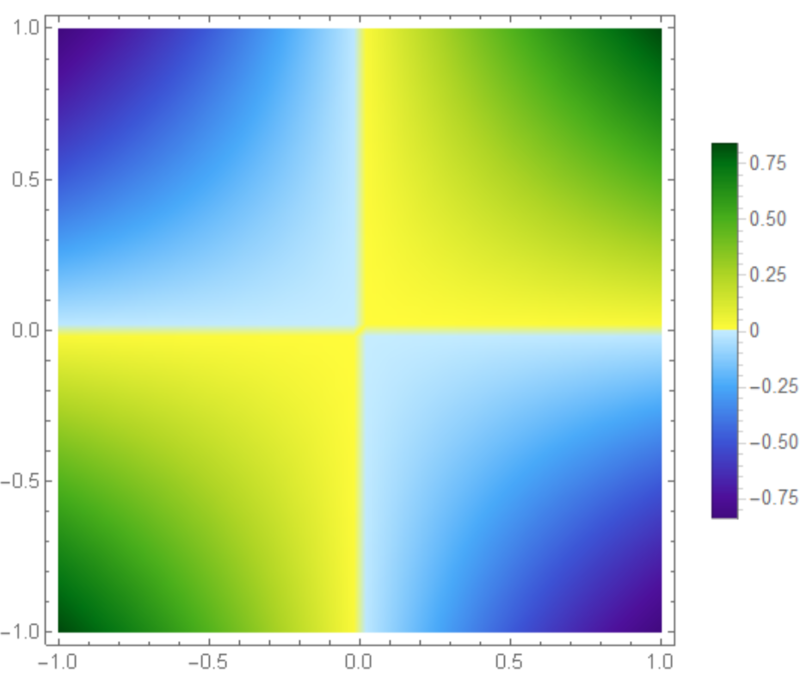 I'm doing density plots in Mathematica where I mostly plot Wigner functions. 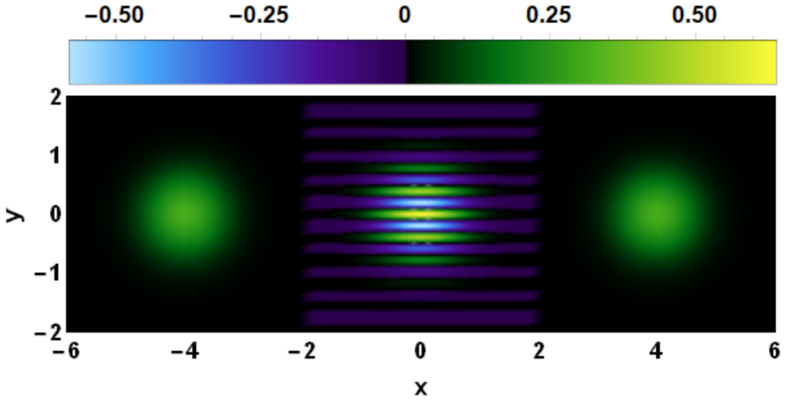 The main objective when plotting a Wigner function is to demonstrate that the underlying state is nonclassical, as indicated by negative values in the Wigner function. Therefore I want to make these negative values stand out in the plot. As you can see in the figure above, it's difficult to distinguish positive and negative values around the zero value. If you want abrupt changes in color, Piecewise seems more appropriate. Not the answer you're looking for? Browse other questions tagged plotting color or ask your own question. How can I make a density plot (or contour plot) with an arbitrary nonlinear scale (e.g. arcsinh, log, biexponential)? 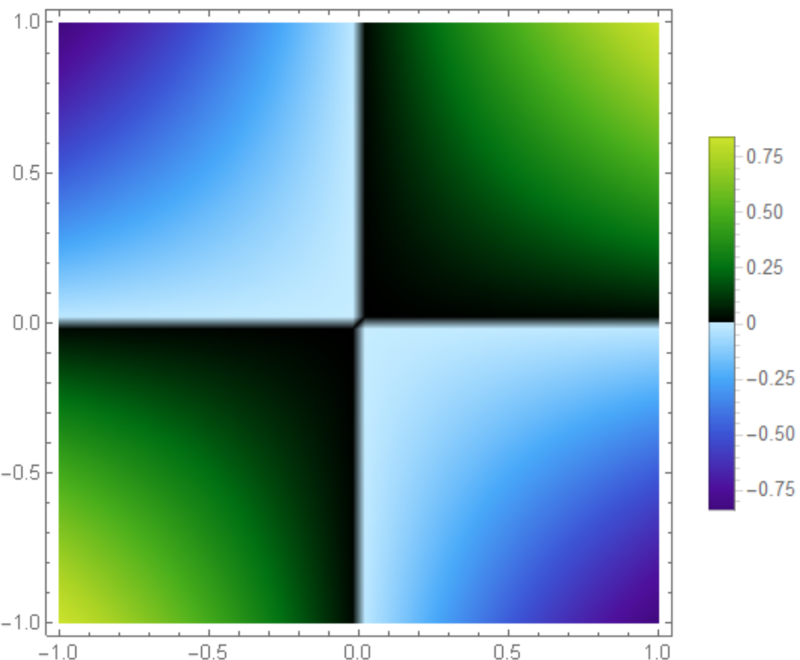 How to add a common color-bar to a set of 2d maps produced from evaluating a function along three projections in Mathematica 8.0? 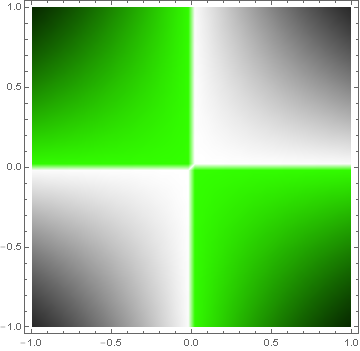 Adding color and opacity to 2D scalar function with respect to its abolute value?